Kristina joined Sorensen Smith LLP in September 2015 as a Legal Assistant. 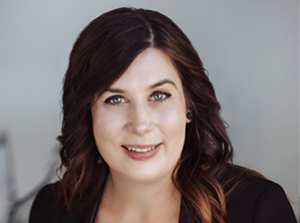 She has since graduated with distinction from the Paralegal program at the University of the Fraser Valley in 2016 and is now a Paralegal. She has been a legal assistant since 2008 and has experience in many areas of law, but mainly assists with civil litigation matters. In her spare time, Kristina enjoys doing anything outdoors and spending time with family, friends and her dog, Chuli.